The Dunlop Orange are stage 2 mini tennis balls designed for beginners of all ages. The balls are ITF (International Tennis Federation) approved and approximately 50% slower than standard tennis balls. In addition, a lower compression and lower bounce make them easier to hit. The balls are supplied in a 60 ball bucket. 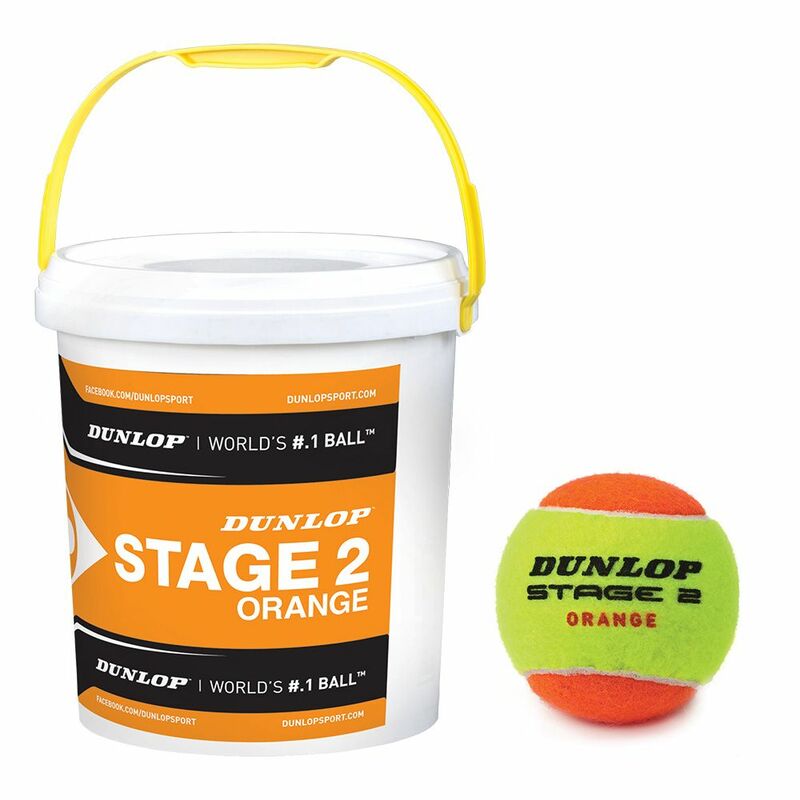 for submitting product information about Dunlop Stage 2 Orange Mini Tennis Balls - 60 Ball Bucket We aim to answer all questions within 2-3 days. for submitting product information about Dunlop Stage 2 Orange Mini Tennis Balls - 60 Ball Bucket. We aim to answer all questions within 2-3 days. If you provided your name and email address, we will email you as soon as the answer is published. for submitting product review about Dunlop Stage 2 Orange Mini Tennis Balls - 60 Ball Bucket.